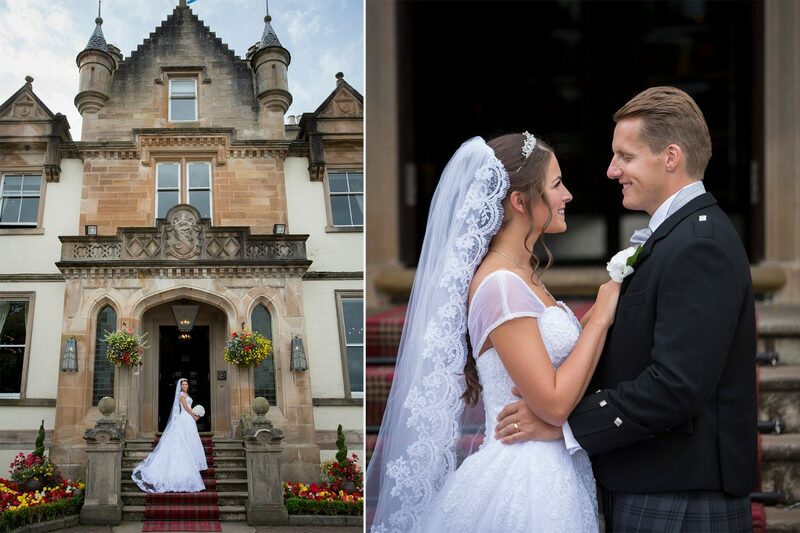 So many little girls dream of their wedding day, and if you live on the West Coast of Scotland, there’s a high chance you have dreamt of a loch-side wedding in Cameron House. On a cold winter morning, Holly and Aaron were walking together in the grounds of the apartment where they lived. Little did Holly know, she was about to get one step closer to her dream wedding when Aaron led her to the tree that they had commented on so many times before. Carved into the tree was the date, ’23.12.15’ and as Holly read this, she turned and saw Aaron down on one knee. 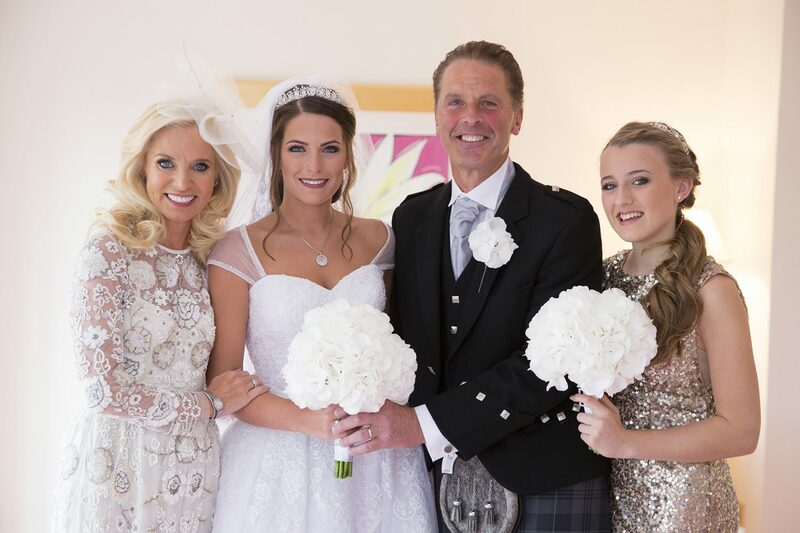 It had all been secretly planned, with a secret flight to Scotland just a few days before to ask Holly’s father for permission – Aaron even got the ring size just perfect! 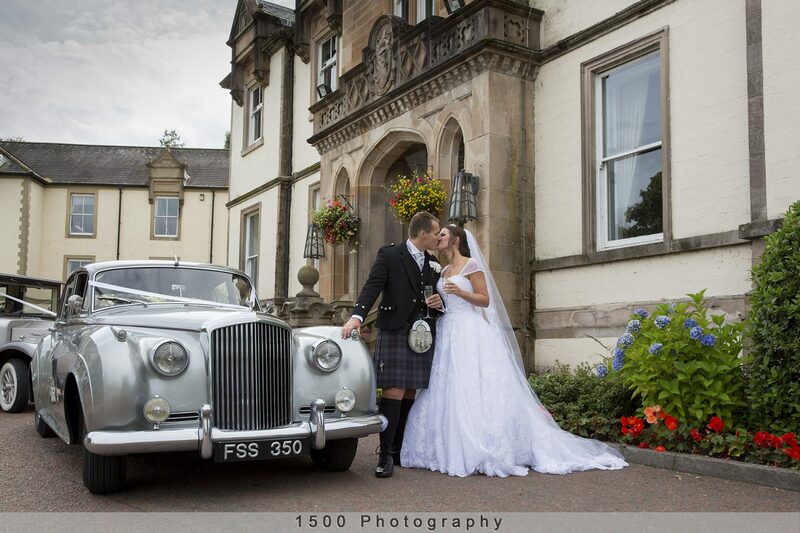 Before they knew it, a date was set for the big day and Cameron House was chosen for their venue. 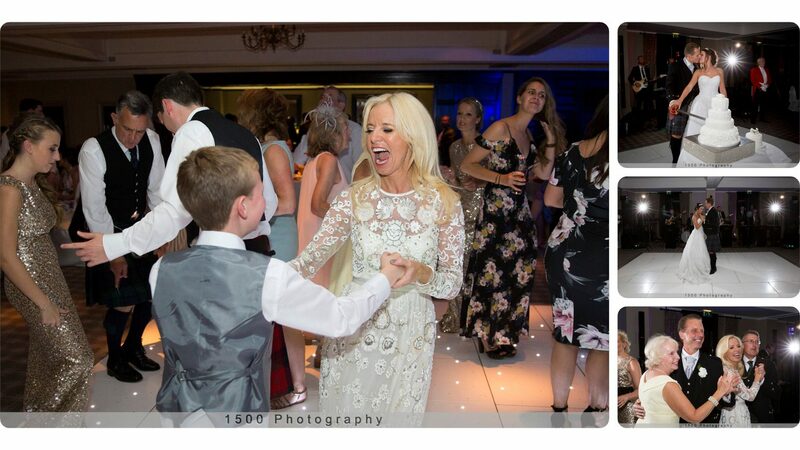 Having appointed her mum as chief wedding planner, Holly was able to enjoy every moment in the lead up to the wedding day. 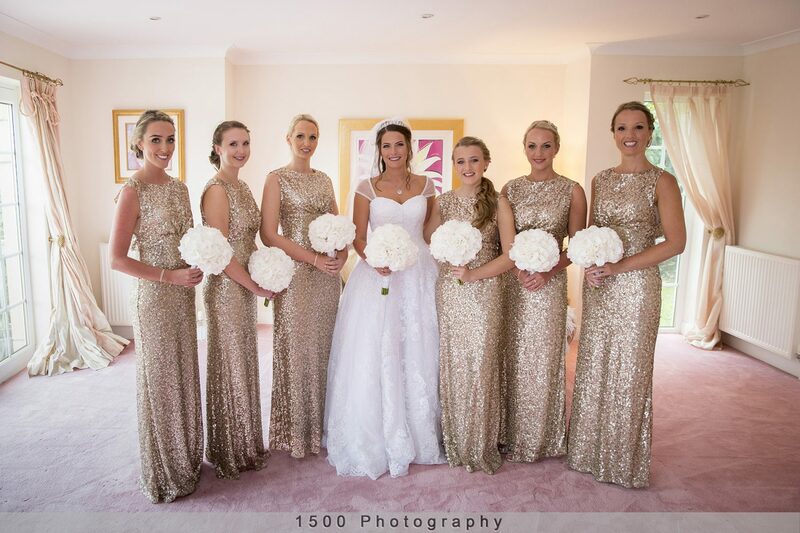 Being mother of the bride (and generally knowing her daughter’s taste so well) Susan was able to plan every detail and present Holly with just three options to choose from, taking all the stress away from Holly – a dream come true for all brides-to-be!! 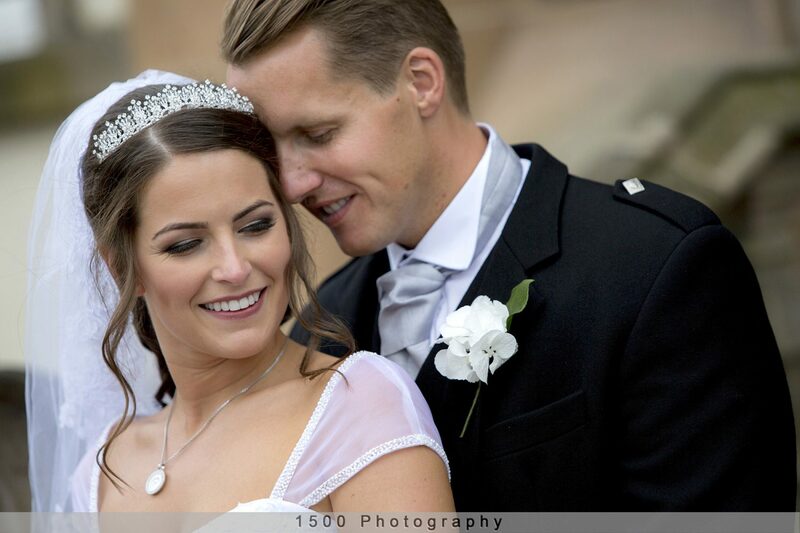 Having so much experience shooting weddings at Cameron House, it was actually the staff at the hotel who recommended Stuart to Holly and Aaron – and they never looked back. Before they knew it, the big day had arrived! Holly and Aaron were both very excited as they were getting ready, but as with many bride and grooms, about an hour before the service the nerves began to kick in. 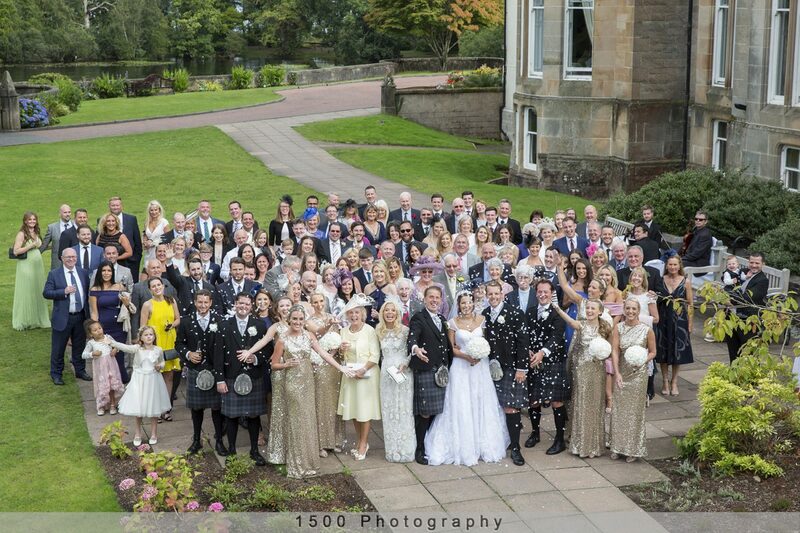 Not that you can tell from the pre-wedding photographs. 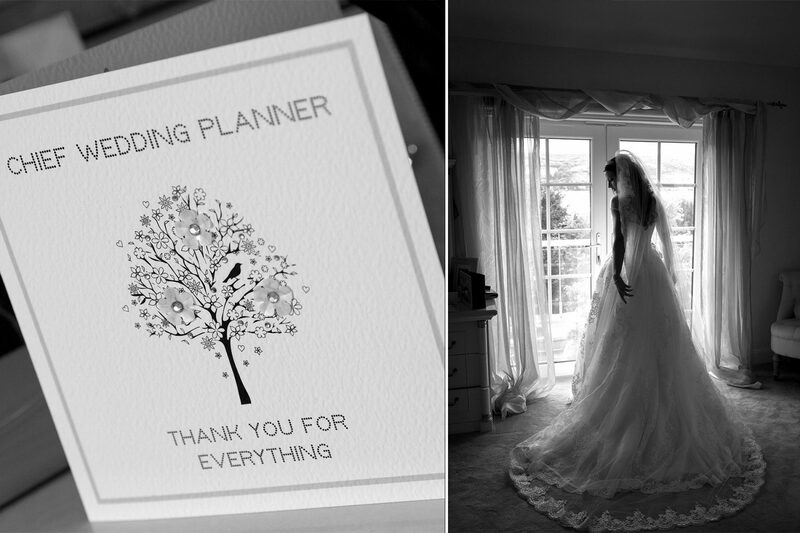 Thanks to Susan and Stuart working so well together, their meticulous planning meant everything ran smoothly on the day. 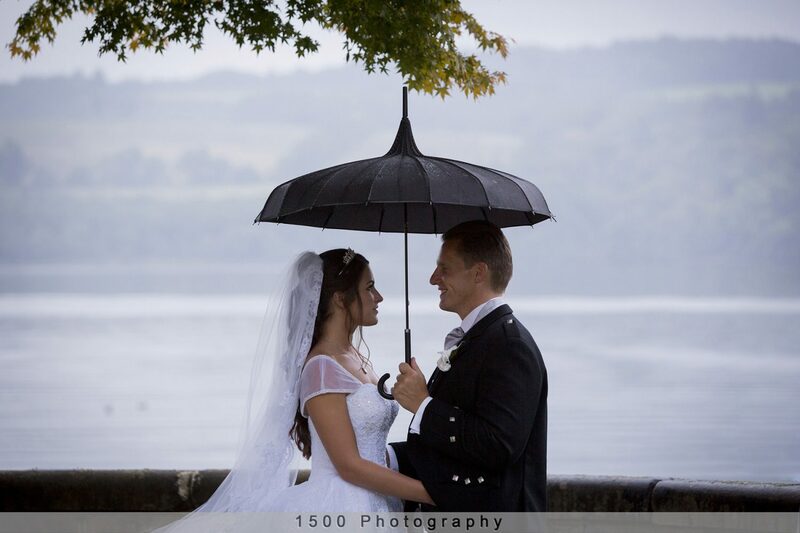 Of course, there are some things that don’t go according to your plan (such as the weather on Loch Lomond!) 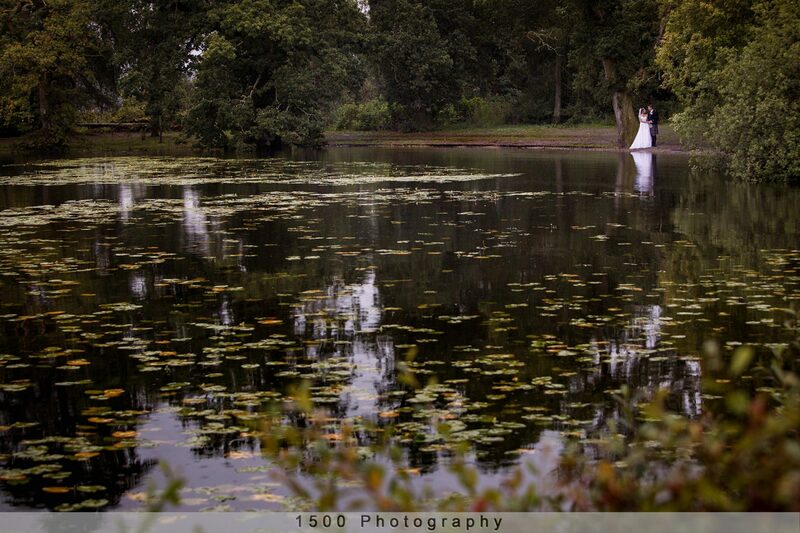 but sometimes this just helps you to be more imaginative in the shots that you create. 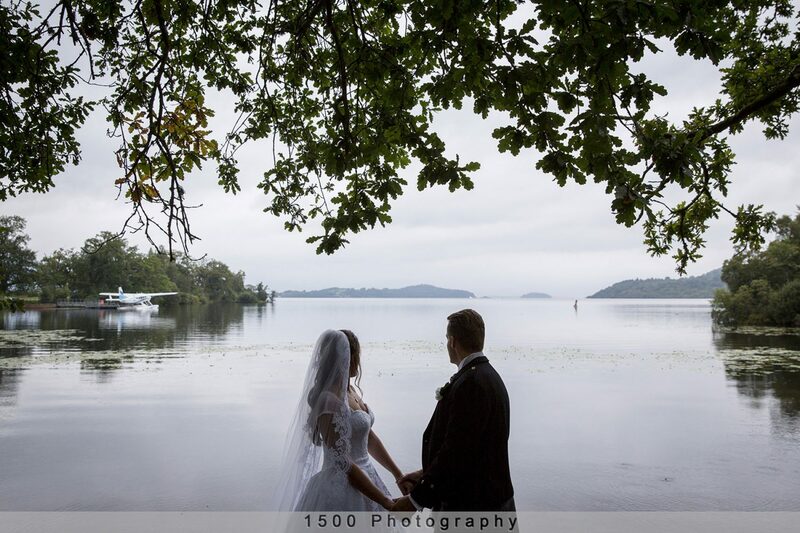 Taking shelter under the trees, Stuart was able to capture some beautiful shots of the bride and groom. With his creativity now in full swing, he was certain that he could take some pictures from across the bay to get a beautiful reflection on the water. 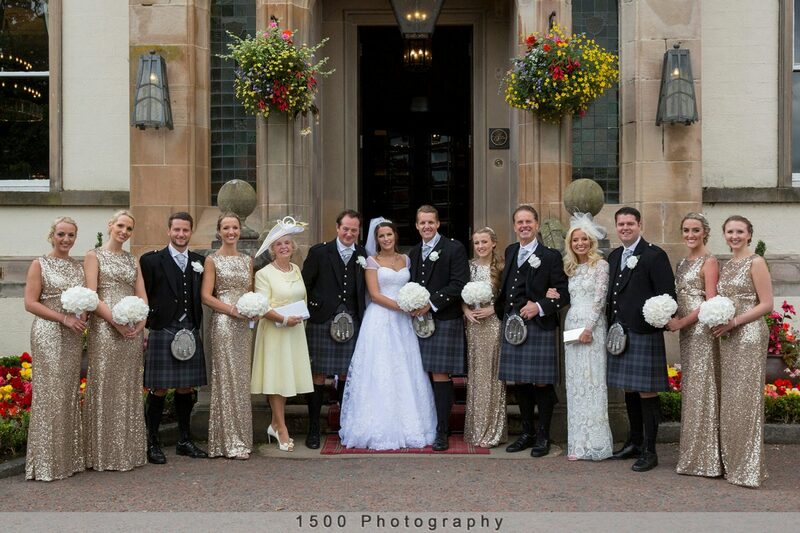 So, the Scottish weather wasn’t so bad after all! 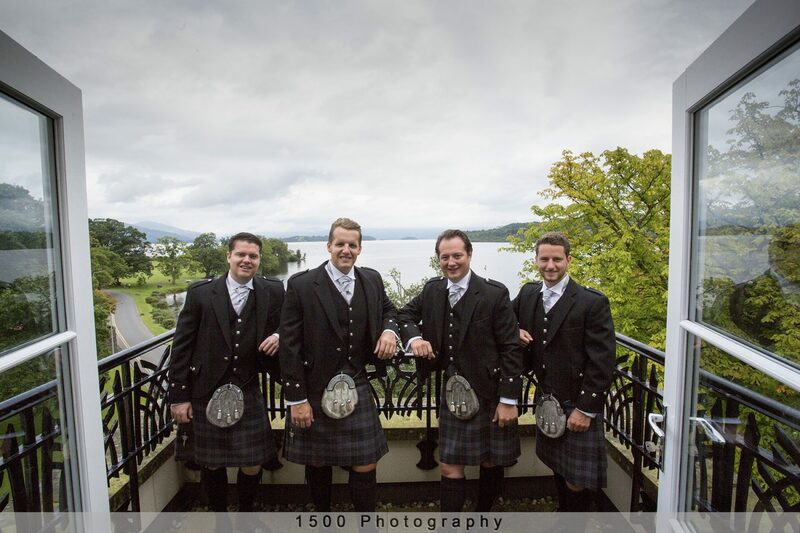 Choosing a photographer who specialises in glamorous weddings, particularly at Loch Lomond’s Cameron House, means you can always trust him to find that perfect shot. Whether it’s down beside the loch or capturing the right angle of the house itself, Stuart knows the places to be. 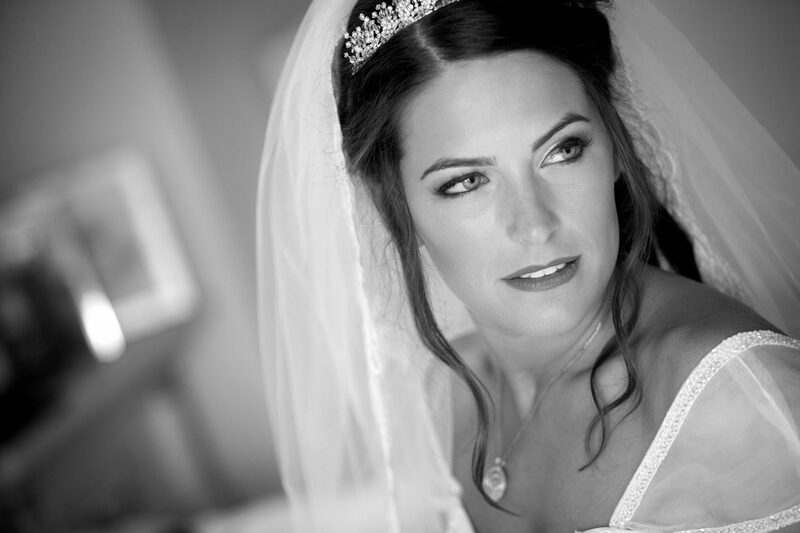 “Just enjoy every minute of it – the run up and the big day itself. It is over so quickly, so you need to savour it.